Displaylite, leading UK touchscreen and displays specialist, has today announced an exciting new partnership with highly regarded USA touchscreen and protective solutions manufacturer TSItouch. The agreement covers integration and sale of TSItouch’s innovative, GRBS (Glass Retention Bezel System) for protection of large LCD video wall displays. Under the agreement, Displaylite will carry out integration of GRBS at its touchscreen integration and assembly facility in Huntingdon, Cambridgeshire, United Kingdom. The GRBS provides an alternative solution to bonded cover glass. 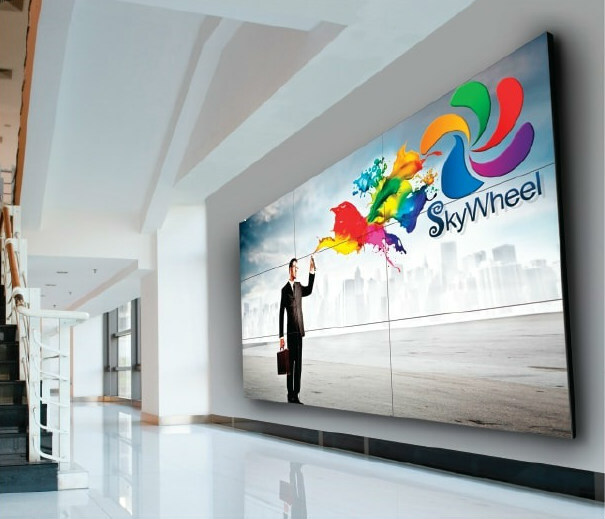 GRBS is a cost effective, serviceable and modular solution that enables protective glass (clear, anti-reflective or anti-glare) to be mounted directly on to each video wall display, providing protection to the OEM bezel and display. In the event of display failure GRBS can be removed from the video wall display, avoiding any issues typically associated with servicing bonded glass displays. The GRBS does not block any of the viewable display area and does not interfere with any interactive touch screen technology. Commenting on the agreement, Simon Perry, Director at Displaylite said, “We are delighted to be partnering with TSItouch. GRBS capitalise’s on the investment we made in our ESD protected production facility which provides filtered air for the integration of touch screen sensors and protective glass”. Nicholas Pittsment, Western US Territory Sales Manager at TSItouch adds, “Displaylite will be able to offer integration and support of the TSItouch GRBS and further strengthen TSItouch’s presence in the European market”.